Is Obamacare Helping Anyone Stay Healthy? 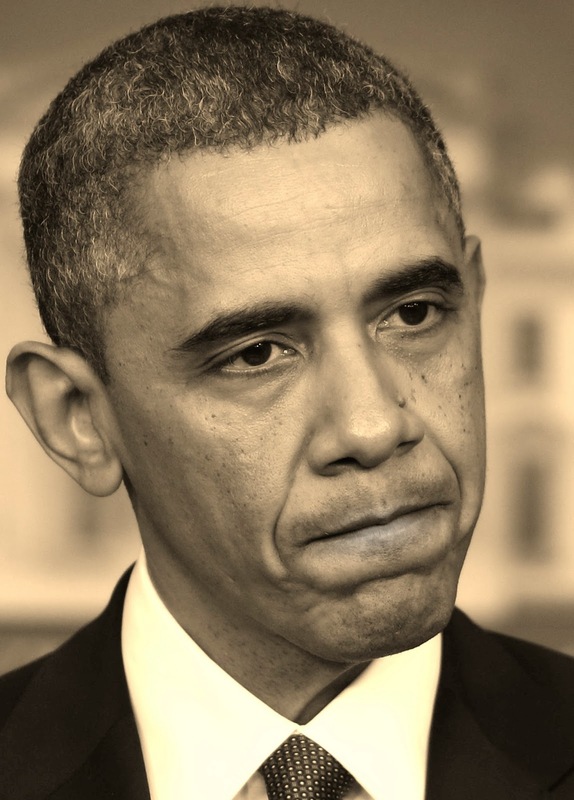 March 26, 2015 2:24 pm / 7 Comments on Is Obamacare Helping Anyone Stay Healthy? Let’s say you really want to know if Obamacare has had a positive effects on keeping people healthy. Partisan politics makes it difficult to get any concrete or objective answers to this or any questions regarding the Affordable Care Act (ACA). So how would you go about finding the answer? You could find out by designing your own study. You might start by looking at diseases that are silent killers because these have permanently damaging effects long before there are physical symptoms. Diabetes is just such a disease. According to medical sources, as many as one person in four have diabetes and don’t know it. The longer it goes undetected the more it damages your internal organs, yet a simple blood test and doctors visit is all it takes to uncover and control this disease. Now imagine that you have results of 400,000 diabetes blood tests nationwide from which you could pull out all the newly diagnosed cases. First you sort the new case in 2013, before any Medicaid expansion, from the 2014 cases after the expansion. Next you sort the new diabetes cases from each period by the 26 states that expanded Medicaid from the 24 states that refused. A concrete measure of an improved healthcare outcome would be finding that there was an increased rate of diabetes detection in the expansion states over the non-expansion states. Just such a study was done and published this week (March 21, 2015) by Qwest Diagnostics, a national medical laboratory. What their analysis discovered was a 23% increase of newly diagnosed cases of diabetes in the states that expanded Medicaid in 2014. There was only a 0.4% increase in new diabetes cases from states that did not expand Medicaid. What’s more, they were able to see a trend towards earlier detection of diabetes in the expansion states. Earlier detection means fewer heart attacks, strokes, kidney transplants, amputations, blindness and premature deaths. This, in turn, means a healthier population and lower health care costs over time. Thousands of people will now lead healthier lives and live to their full potent in those 26 states that expanded Medicaid under the ACA. The number of people who could have been covered by the expansion roughly equals the number who got coverage in 2014. This means an almost equal number of people will likely experience needlessly declining health due to undiagnosed diabetes. The states that don’t expand Medicaid will have higher healthcare costs in the future resulting from a less healthy population. The news isn’t all bleak for the poor or elderly in states that didn’t expand Medicaid. A report by the Avalere Health organization recently found that there are 550,000 new enrollees in standard Medicaid in 15 states that have not expanded Medicaid. They attribute this rise in enrollment to the “woodwork effect,” caused by increased public awareness and publicity surrounding Obamacare. These are individuals who were eligible for standard Medicaid but hadn’t applied. It is safe to presume that some of them will benefit from the early detection of diabetes. From this one Quest diagnostics study alone the answer is clear. The Affordable Care Act is having a positive effect on the health and well-being of citizens in those states that expanded Medicaid. There are other silent killers that can easily be detected early while treatments and cures are still possible, such as high blood pressure and many types of cancer. If earlier detection of these diseases are also resulting from Medicaid expansion, this would be overwhelming evidence that the ACA is improving health outcomes. Expanding Medicaid doesn’t cost the states any additional revenue for the first few years. After that there is significant reimbursements from the Federal Government. Refusing Medicaid expansion actually costs states millions of dollars in uncompensated care right now. Doing this on ideological grounds is not a principled position, not when it clearly results in a less healthy population and increased medical expenses for the foreseeable future. I grew up a few blocks from Lake Hopatcong and the experience has stayed with me all my life. I learned to swim there. 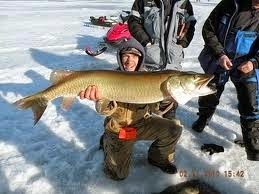 I learned to fish and ice fish there. But the best gift of all was discovering my inner calmness in the reflections of countless sunsets and the gentle lapping of its waves. I have loved rivers and lakes ever since. It is where I feel most at home. 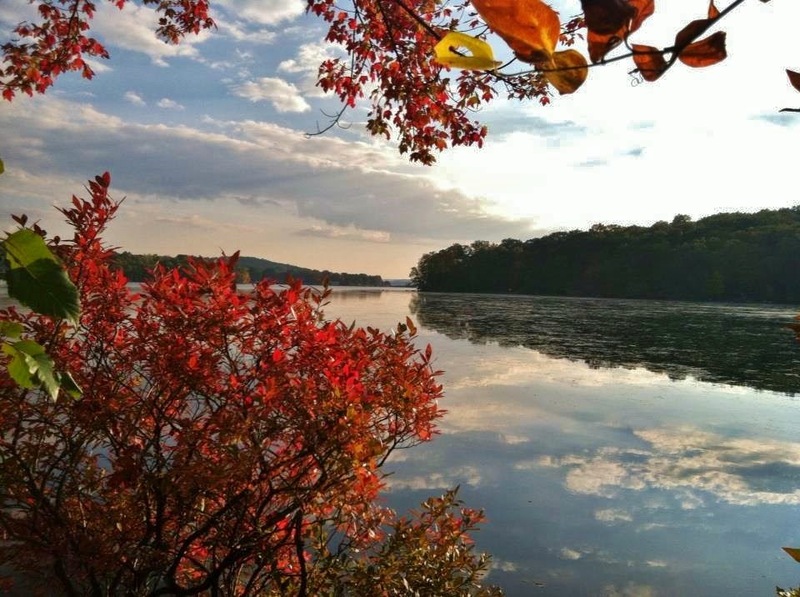 A view from tiny Snake Island on the North end of Lake Hopatcong in the Fall of 2013 looking over to a nature preserve. “But how does a guide map help this lake”, you ask? New Jersey politics is heavily comingled with the interests of developers. Over the years this beautiful lake has been transformed from summer resort and recreation area to largely a residential lake. Lake access has become too limited due to over development, so tourism is down. (I would love to see the State open another state park.) This gives the New Jersey State government less incentive to support environmental stewardship of our largest lake and natural attraction. Encouraging more tourism will help attract more attention to preserving and maintaining the lake. If they win the grant, the Lake Hopatcong Foundation will create a Lake Hopatcong Guide Map. The map will include information on invasive species and the location of pumpout stations. The map will be available for free and printed on water-resistant, tear resistant and durable 12” x 18” paper. They will also update the Lake Hopatcong Guide app which is available for free download for iPhone, iPad and Android. Information on how to prevent aquatic hitchhikers and the locations of pumpout station will be added to the app and their website. This will facilitate visitor, encourage tourism and it would be good for the health of the lake in the long run. Putting this small grant towards some great environmental issue would be a little bit like throwing a pail of water on a burning house. The impact would be negligible. So please help out and cast a vote for help the Lake Hopatcong Foundation win this small grant. Here is a little history of Lake Hopatcong. Please come visit it if you are in the vicinity some day. Lake Hopatcong is New Jersey’s largest lake. It is about 4 square miles in area. It is in the water shed area know has the New Jersey highlands about 30 miles from the Delaware River and 45 miles from New York City. Lake Hopatcong was created by damming and flooding two ponds that were known as Great Pond and Little Pond. It is substantially spring fed while the Musconetcong River flows out from it. The Big and Little Ponds in the Hopatcong basin were form during the last glacier. They were about two miles apart with some wetlands between. It is believed that these lakes were first settled by the Lenape Indians. Here they found that the lakes provided abundant fish and forested shores with plenty of game. The word “Hopatcong” is believed to be a derivative of the Lenape word “hapakonoesson”, meaning Pipe stone”. Sometime between 1750 and 1765 the Brookland Forge and mill built a damn where the Musconetcong River flows from the lake in order to supply greater water power for the forge. This damn raised the water level by six feet and connected the two ponds. In the early 1800’s plans were made to build the Morris Canal to connect the Delaware River with New York Harbor. 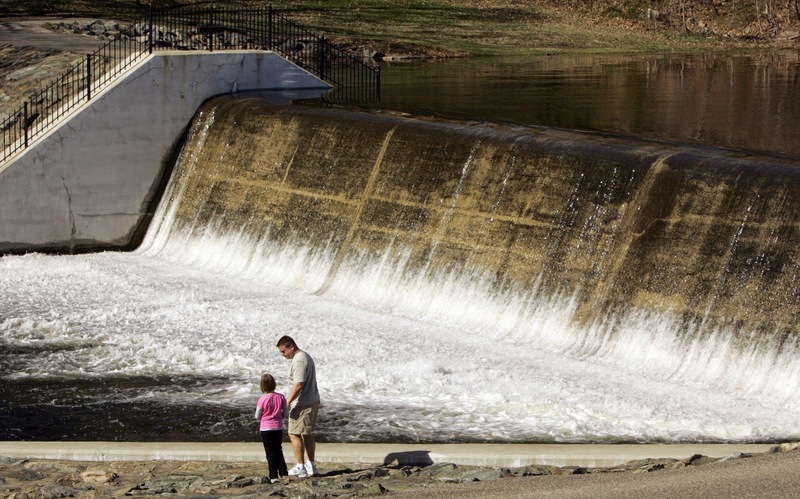 The 900 foot elevation of Hopatcong basin was perfectly suited to supply water for the canal. 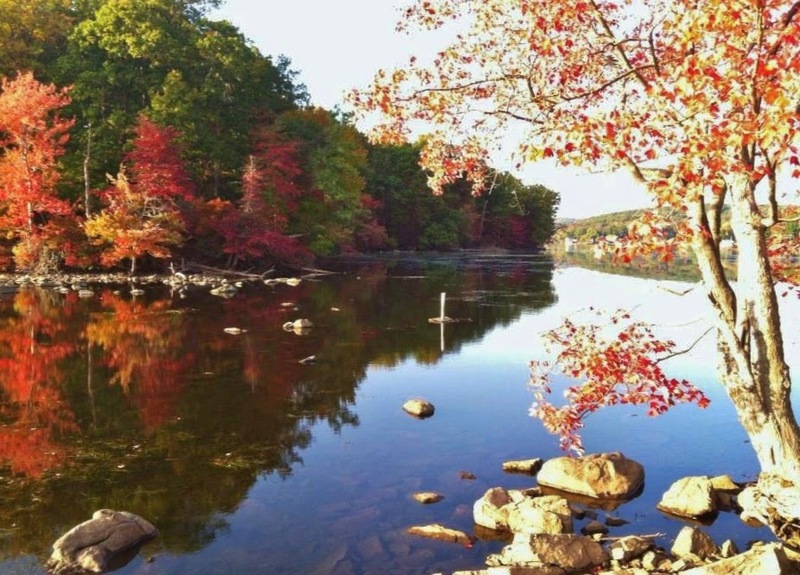 In 1831, the Morris Canal Company purchased the Brookland forge site and replaced the dam with one that raised the water 12 ft above the original level of Great Pond creating the lake as it exists today. 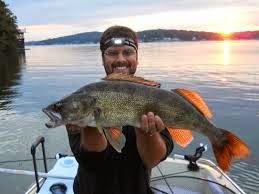 Lake Hopatcong is home to the greatest variety of game fish of lake in New Jersey. Each spring it is stocked with brown trout, rainbow trout, and brook trout. 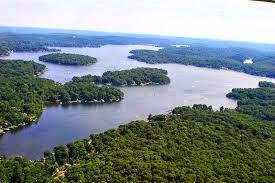 It is home to Largemouth and smallmouth bass, rock bass, chain pickerel, channel catfish, bullheads, hybrid striped bass, walleye, muskellunge as well as perch, crappie, bluegill and carp. I have never been skillful or lucky enough to catch one of the monster fish that inhabit the lakes depths, but I have always been inspired by those who do seem to catch these great fish. Once a first class resort destination for the rich and famous, today Lake Hopatcong is largely a residential lake with limited public access. There is the New Jersey State Park in Landing and a number of marinas and restaurants on the lake and two yacht clubs. Many of the restaurants can be accessed by boat. You can simply dock and dine at any of these classic lakeside restaurants. 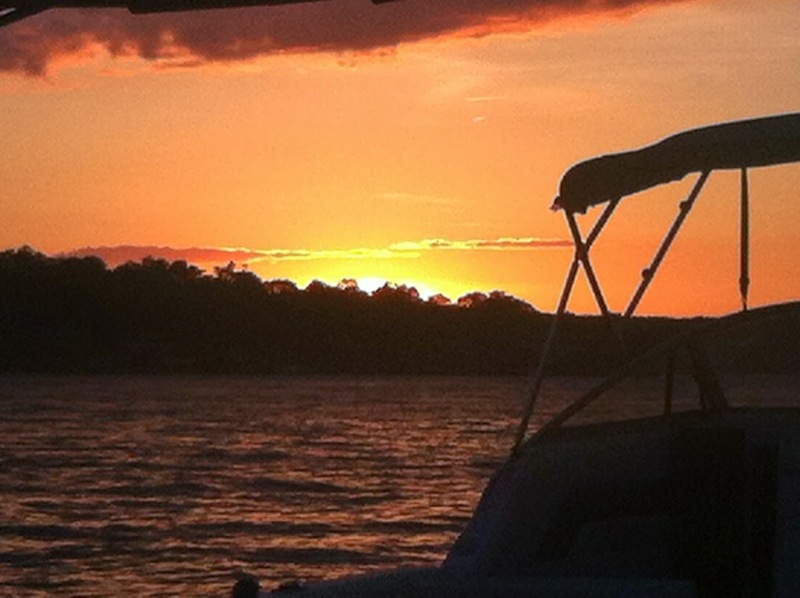 So again, Please help the Lake Hopatcong Foundation win this small grant, Click on the following link to vote for Lake Hopatcong to receive this grant: http://www.boatus.org/grants/vote.asp and Thank YOU! 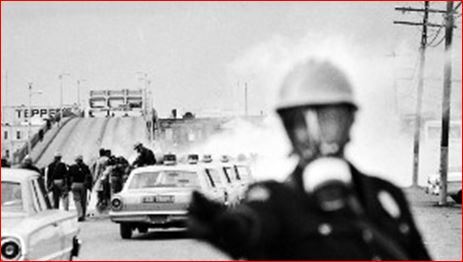 It’s been fifty years since marchers seeking voting rights were beaten on the Pettus Bridge in Selma Alabama, yet Republican leaders still can’t join hands with African Americans on that bridge without offending bigots in their base. Fifty year later and a show of unity on that bridge is still the wrong message coming from the Republican Party? Really? This begs further questions. Just how much of Republican politics is driven by the desire to preserve white privilege? What percentage of their base feel hostile towards inclusion and justice for all? And who can be surprised after this missed opportunity to learn that 90% of African Americans vote for Democrats, or that Latinos are increasingly turning to the Democratic Party? Media pressure was put on the Republicans when it was learned that no leaders were planned to go to Selma. At the last minute House Republican Majority Leader Kevin McCarthy announced he will to join in the 50th anniversary events. McCarthy is a close friend of Democratic Congressman John Lewis who was beaten on that bridge 50 years ago. The cynical view is that McCarthy is the best Republican representative since his attendance can be forgiven by the bigots on the grounds that he is Lewis’ personal friend. This isn’t to impugn McCarthy’s motives for attending, which I’m sure are genuine. Political spinners can say whatever they want, but no rational citizen who wants our society to advance can accept any more excuses from those who hold us back. The Republican Party has clearly chosen the wrong side of history. This time it is Republicans who are beating themselves on the Edmund Pettus Bridge. Historical foot note: The Edmund Pettus Bridge is named for Edmund Winston Pettus, a former Confederate brigadier general, U.S. Senator from Alabama and Grand Dragon of the Alabama Ku Klux Klan.